Smells, memories, pain, learning—all these experiences and many more are made possible by just three pounds of tissue in our heads—the brain! This program is for all who would like to learn more about cultural diversity, mental processes, and cognitive/educational neuroscience and their impact on the exciting world of teaching and learning. What makes learning harder or easier? What actually is learning? What really happens when people learn? Should educators know something about the brains of the students sitting in their classrooms and what is happening—or not—and possible explanations about how this exciting mental process is occurring? The Specialist in Education (Ed.S.) degree in Curriculum and Instruction includes a specialization in Culture, Cognition, and the Learning Process (CC/LP). This unique 30-hour, online degree program provides students with an opportunity to consider the impact and influence of educational neuroscience and cultural circumstances on teaching and on learning in general. Tabetha Sullens combines graduate work at MTSU with membership on the faculty of Webb School, Bell Buckle. She says, “Although the work has been challenging, my desire for knowledge inspires me nightly to continue my studies and research. The experiences within the Ed.S. online classes at MTSU provided me with a solid foundation and opportunity to enhance my understanding of higher education, not only in an elementary, middle, and high school administrative setting but also in a collegial one.” Sullens is working on the specialization in Culture, Cognition, and the Learning Process and researching education trends. Her work has evolved to focus on the impact of social media and technology on bullying. Sullens says the program has been quite beneficial to her work as middle school head in “an extremely diverse boarding school environment.” She praises the program for improving her daily work and is especially appreciative of the director—Dr. Barbara Young—for her diligence and timely correspondence. Dr. Barbara Young, program director and professor in the Womack Educational Leadership Department, pursues research and work that further the goals of the specialization in Culture, Cognition, and the Learning Process. She will co-lead a project funded by a Tennessee Board of Regents Student Engagement, Retention, and Success grant for the 2016-17 academic year. 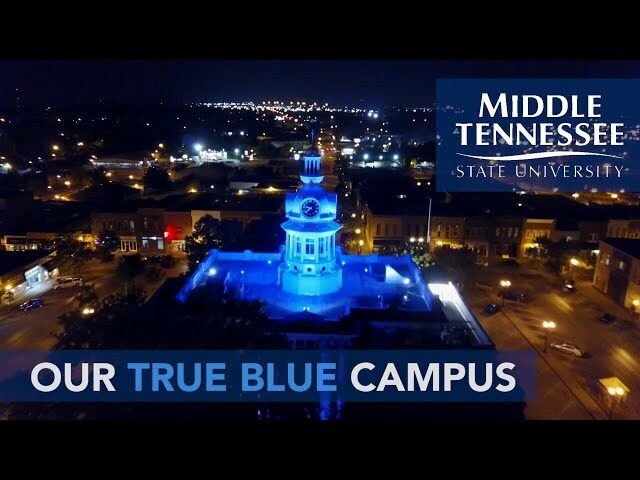 The goal is to implement La Communidad @ MTSU,serving a targeted population that is underrepresented, composed of many first-generation college students, and part of an ethnic minority. In addition, Young, who joined the MTSU faculty in 1989, is the principal investigator in an ongoing research project involving Saudi women international graduate students who are studying at MTSU and interacting with Americans in a mixed-gender classroom environment for the first time—a situation significantly different from the segregated-gender environment of their homeland. “Both the TBR grant and the ongoing research project focus on cultural diversity and the teaching/learning process and are clearly aligned with existing intercultural and diversity initiatives at MTSU,” Young observes. The Womack Educational Leadership Department offers the Specialist in Education degree (Ed.S.) with a major in Curriculum and Instruction and a specialization in Culture, Cognition, and the Learning Process. This online degree program provides an opportunity to consider the impact and influence that cultural circumstances and mental processes have on learning and teaching in general. a valid teaching license. The licensure requirement may be waived under special circumstances. An M.Ed. with a major in Curriculum and Instruction is offered; also available is a concentration in English as a Second Language. In addition are both on- and off-campus cohorts. The Womack Educational Leadership Department offers both the Master of Education (M.Ed.) and Specialist in Education (Ed.S.) with a major in Administration and Supervision. The specialization in Higher Education can lead to either an Ed.S. or M.Ed. There is also an Instructional Leader Licensure program specialization delivered through off-campus cohorts meeting at various locations. Also under the Administration and Supervision major is a concentration in Agricultural Education Leadership leading to the M.Ed. The major in Library Science leads to a Master in Library Science (M.L.S.). A major in Professional Counseling includes programs leading to an M.Ed., with concentrations also available in Clinical Mental Health Counseling and School Counseling. Curriculum and Instruction, Culture, Cognition, and the Learning Process Specialization, Ed.S. The Ed.S. in Curriculum and Instruction major offers a specialization in Culture, Cognition, and the Learning Process. This online degree program provides an opportunity to consider the impact and influence that cultural circumstances, mental processes, and contributions to neuroscience have on learning and teaching in general. Onsite options may be available for some courses. successfully complete a written comprehensive examination or research project during the semester of graduation (exam may be retaken once). Opportunities to think reflectively and critically on the historical, philosophical, and psychological foundations of education and attendant implications. Prerequisite: SPSE 7010. It is recommended that this class be taken the semester following enrollment in SPSE 7010. Culmination of research sequence (FOED 6610 and SPSE 7010) which requires studying a professional educational problem through completing and presenting a research project. Designing research studies, including development of understandings, as well as skills and techniques needed in gathering, structuring, interpreting and presenting data required for educational research. SPSE 7010 is a prerequisite for enrollment in FOED 7610, which is recommended to be taken the following semester. Introduction, examination, and practice in approaches to classroom management through evaluation within a diverse setting. Research on classroom management and discipline within the classroom presented for analysis and interpretation. General topics include theories/models of discipline, management, organization, teacher behaviors, individual differences, and legal issues that impact the teaching and learning environment. Emphasis placed on importance of informed decision making and reflection in relation to classroom management and evaluation. Examines the historical and current learning theoretical principles, concepts, and research findings as related to education in a variety of settings. Focuses on cognitive, behavioral, constructivist, and humanistic learning theorists, theories and applications. Explores the history of multicultural education, social policy, equity issues and legislation from the settling of America to the current national education initiatives that impact classrooms. Examines the relationship between societal influences, equity issues, and classroom practice in light of the cultural milieu and challenges existing in today's classrooms. Focuses on applying brain-based learning principles in the classroom. Examines standard educational practices today in light of what we now know about the brain. Diversity issues such as race, ethnicity, and culture covered through issues that impact society in general and classroom dynamics (teaching/learning) in particular. Concepts and generalizations of the various theories of psychology and their relationships to education in such areas as motivation, retention, evaluation, discipline, capacity, practice, understanding, transfer-creative thinking, problem solving, and methods of instruction. Examination of physical, social, emotional, and mental development of humans from birth to maturity. Basic theories of learning including behaviorism, constructivism, and humanism plus theories of motivating and facilitating learning processes in classroom settings. Explores our unique American multiculture and fosters exploration of teaching for diversity while promoting unity. Explores basic components of multicultural education and aids educators in developing awareness, understanding, and sensitivity to the needs and interests of ethnic and cultural groups. Scope, sequence, organization, and priorities involved in the development of "continuity of educational experience" from kindergarten through grades 13-14. Students taking courses for licensure renewal, add-on endorsements, or "plus 30" upgrade on teacher licensure should register as non-degree-seeking students. Students enrolling in 6000-level courses must hold a bachelor's degree, and students enrolling in 7000-level courses must hold a master's degree. Non-degree-seeking students cannot register for 7000-level courses without departmental permission. file a Notice of Intent to Graduate form in the College of Graduate Studies within the first two weeks of the semester in which the student intends to graduate.